With the holidays around the corner, empty-nester Bren Epperson realizes that for the first time in decades, she has no large family to cook for, no celebration to create. So she starts teaching a holiday cooking class, and it s a hit until Virginia Mash, the old lady upstairs, bursts in complaining. Rather than retaliate, Bren suggests that the class shower Virginia with kindness and give her one hundred gifts. So they embark on the plan to lift a heart. Along the way, amidst the knitting and the making and the baking, they ll discover the best gifts can t be bought and family celebrations can be reborn. 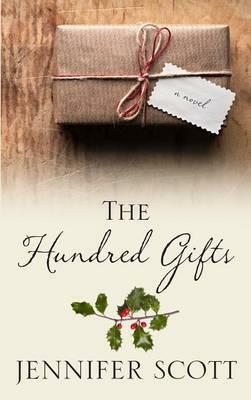 "An uplifting story about...the redemptive power of familial love." --Liza Gyllenhaal, author of" A Place for Us"
"The perfect book to curl up with on a nice snowy day!" --"Open Book Society"
Jennifer Scott is the national bestselling, award-winning author of "Second Chance Friends, The Accidental Book Club, "and "The Sister Season. "Her acclaimed YA novels under a pseudonym, Jennifer Brown, have been selected as an ALA Best Book for Young Adults, a VOYA Perfect Ten, and a "School Library Journal" Best Book of the Year.